Hand crafted in Turkey with beautiful multi-faceted oval sapphires and a diamond accent. 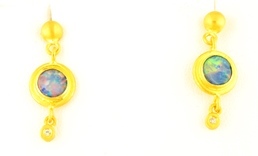 Made by hand in Turkey from 24kt yellow gold, fiery opals and small diamonds as an accent. 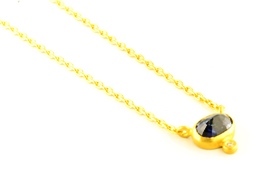 Handcrafted in Turkey with 24kt yellow gold, a lovely multi-faceted sapphire with a small diamond accent. This is a perfect example of BLING! This ring is sure to catch the eye! The ruby in the center is a lovely and glowing hue of red. 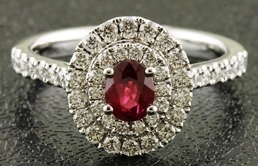 The diamonds dance and sparkle, setting off the glow of the ruby. 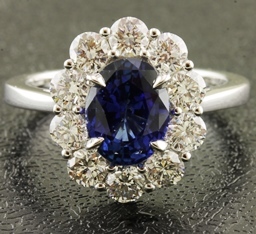 A stunning blue cushion cut sapphire is the centerpiece of this ring. 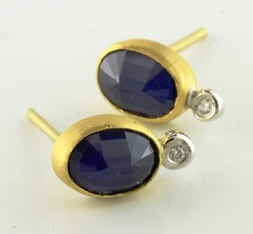 The design is reminiscent of the Art Deco era with intricate diamond detailing that compliments the center sapphire. The emerald in this piece is the vibrant green of a spring forest. 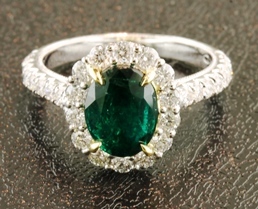 The halo of diamonds that surround the emerald twinkle and shine in the light. Jump right in to the shimmering blue of this gorgeous sapphire! 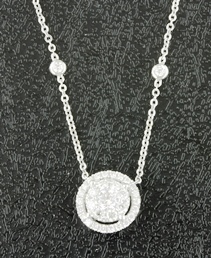 The surrounding diamonds add just the right touch of elegance and sparkle. 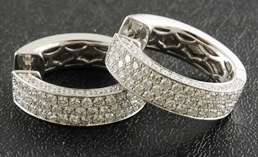 These diamond hoops are meant to be seen! Three rows of brilliant cut diamonds light up the day or night! 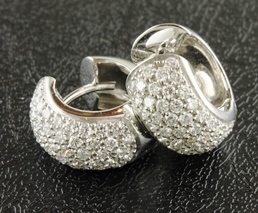 These huggy earrings are a stylish addition to any wardrobe. They have a contemporary edge for the modern woman. 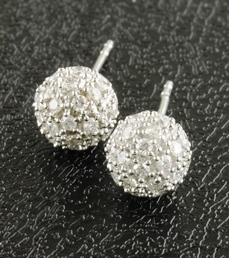 These pretty pave studs are made to bounce the light around the room. They are eye catching and easy to wear. 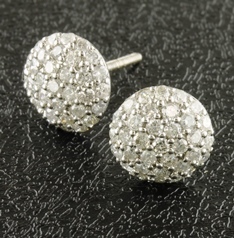 These earrings shimmer and sparkle in any light. Subtle enough to worn every day or for a night on the town.